The condition of the nation’s political parties has been variously described with such derogatory words as ‘decline’, ‘decay’ and ‘demise’. Not sufficiently energised in ideology, campaigns for election are also increasingly becoming more candidate-centered rather than party-centered (a spiritual warfare of some sort), which compelled individual presidential aspirants to rely more on personal organisations and political (third party) consultants… as against identifiable issue-based position, which has several basic principles such as choosing aspirants/candidates according to party programmes. Powered by a peerless pedigree of outstanding antecedents and impeccable credentials, not just as a fast-growing leading politician and administrator from Nigeria’s North-East sub-region, Governor Ibrahim Hassan Dankwambo has been offering his wealth of experience, exposure and exemplary attainments as the head of government in Gombe State, being an arrowhead in the quest for qalitative change in the State’s education status quo. A repository of knowledge, endowed with a new political philosophy and social order, Governor Dankwambo’s entry into the nation’s presidential race in 2019 presents Nigeria with an infallible guarantee, using his antecedents on education as the head of government in Gombe from 2011 till date, to illustrate the point. His administration in Gombe marked a spectacular improvement in scholarship (education) guided by the basic principles of universality in educational advancement. Among the interesting scenarios to consider in his candidature for presidency are, his great liberalizing force within the various segments of the polity, and his advocacy in the field of education and knowledge-an effervescent programme in all his policy formulations. These, no doubt, formed the critical basis for his campaign for the nation’s presidency, with his own unique package of revolutionary policies and programmes. “It is good leadership and governance that defines a country, whose responsibility it is to think critically and creatively, – against a set of standards that has been inoculated by religion against creative thoughts – a new chapter of progressive change and refocused development along the lines of the PDP manifesto. Dankwambo’s depth of knowledge in Data Management and Information Communication Technology, ICT marked the underlining parameter for his successful tenure as Gombe State Executive Governor between 2011 till date. His political philosophy draws widely from applied structural, functional, theoretical framework, undaunted by difficult assignments and challenges of life; his vision of new politics share a conviction of the institutionalisation of policies and programmes as a necessary condition for the attainment of democratic government in the modern society; the practical application of all relevant knowledge on the social, physical and natural realm to specific problems identified well ahead of time. From transactional politicians to principled intellectuals, Dankwambo’s entry on the nation’s presidential realm signifies a complete change in nation’s body polity, marked by the advantage of age and intellectual leaning. Decades of anti-people policies and mismanagement of resources have resulted in Nigerians, who should have no business in being poor, ending up in government-induced penury. Successive government have had similar mindsets in terms of profligacy with state funds and a paucity of economic ideas that has seen them open the doors to all sets of foreign-packaged economic programmes that have only served to increase the plight of Nigerians. Consequently, Nigeria, a country that ought to be a global economic powerhouse is now tied to the apron string of these foreign countries and their institutions, limiting our options to explore the economics models such as that of the Asian Tigers – China and their micro-economic variables. No nation worth its salt leaves its national currency to the vagaries of market forces. 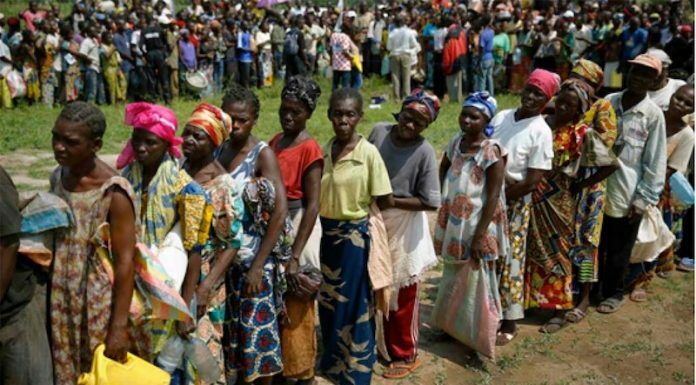 Since the conduct of the 2006 Census, there have been little efforts to make maximum utilisation of Census figures to restructure wealth distribution in this country. In simple economic terms, a country’s greatest resource is its manpower. People are the most valuable resources of any nation because they constitute the primary producers of our land. Human population should be given special prominence and attention in formulating new revenue allocation formula on addition to the various states’ poverty indices. 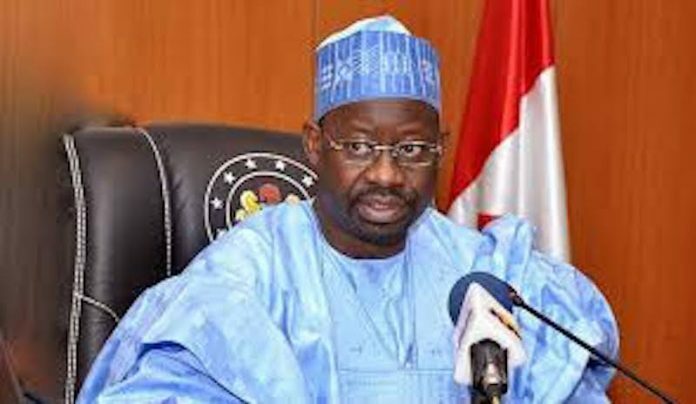 “The first strength of Dr. Ibrahim Hassan Dankwambo’s leadership is inherent in his passion for competence and his comfort level, with having the best around him, in his method and style, in its most descriptive fashion. If we cannot describe a political process or event, we cannot really hope to understand or explain it. The concept of governance and structures of the Dankwambo-led administration in Gombe State are presented at two analytical levels; the macro and micro-level analysis. Besides the assessment of performance, there is need to highlight crucial policy issues in public consciousness and create minimal standards of performance on core areas of consensus. “His philosophy of good governance is about humanity; protecting people; providing economic opportunities bothering on wealth and job creation, providing education and healthcare, depending on the complexity of the problem from place to place and influencing decision-making for the good of the citizenry”. The situation analyses and policy targets of Dankwambo’s manifesto in all the sectors of the economy, i.e. education, road construction, industry and commerce, health programme amongst others with a wide range of corresponding strategies outlined as facilitative dimension, his struggle of the attainment of complete socio-economic transformation of the country, as president is a struggle worth all our efforts, and not the short-circuit desires and monetary benefits of a parochial few. In the nation, Nigeria politics, it is good to be bad and bad to be good; memories die fast, poverty and affluence bring out the worst in us as the poor trample on each other to serve the whims and caprices of the elite class in the country. The thrust of Dr. Ibrahim Hassan Dankwambo if elected as the Peoples Democratic Party, PDP nominee for president is about signposting the roads not traveled before by erstwhile governments in the country, viz, the pursuit of sustainable growth and human development strategy by devoting massive resources to education and commerce in order to eliminate poverty through the creation of wealth. In coming to judgement with Dr. Ibrahim Hassan Dankwambo’s character, the philosophy of thought should be found in his distributive disposition and Project Implementation Index, PII as Gombe State head of government and his leadership acceptance within his growing population of supporters. It calls for robust discourse and constructive dialogue. His entry into the nation’s presidential race must call on our collective attention and critically address the managerial truism “that what is not measured cannot be managed”, given the dip from the statutory allocation from the federation account which almost all the states of the federation faces as a resource-dependent mono-cultural economy. While some of our leaders perceive their political office as a call to service to their states, others perceive power as an avenue for wealth accumulation. In contemporary political philosophy, politics is a subject which has the distinction of intimate interaction between the government and its citizens, with an even greater need for inspired leadership and dynamism in a nation where the basic needs of life such as education, rural and urban regional planning, revolutionary development in agricultural input has hitherto been denied. Dr. Ibrahim Hassan Dankwambo’s foray into the political gazing in 2011 was not foreseen by the grandmaster that thought of him as “too subservient” who would not hurt a fly. Danwambo is one politician who would not be caught in double-speak; he is not a politician made in the Nigerian hue. Those who once thread the same road with him, politically, found this out and soon fell apart with him. He is not gullible to cheap blackmail!